We meet at 10.30am on Sunday morning, with crèche for really young ones, and children and young people’s programmes from about 10.50am. Please do not park in East Chadley Lane. Parking advice. Our service lasts for about one and a half hours. They are usually led by one of our worship groups and one of our pastors. We begin with the whole congregation together and then we cater for children and young people in their own groups. 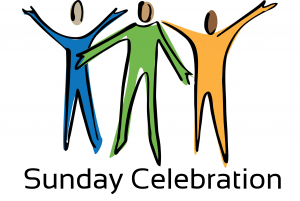 Usually our Celebration will include contemporary worship, relevant Bible based teaching and prayer ministry. Downloadable recordings and Podcasts are available. Communion is usually included on the fourth Sunday in the month. Refreshments are served beforehand until 10.20am and afterwards too. Our church family includes a lot of children and young people. For more details about children’s ministry on Sunday [click here]. New to our Sunday morning congregation? There will be someone at the door to welcome you and show you where to go. The words of the songs and hymns we sing are projected on a screen so we very rarely use hymn books. There are Bibles available to use – and we also have the words of Bible readings projected as they are read. For those with hearing loss, we have a loop system and usually outline sermon notes can be provided by email. For those with visual impairment, we can make available large print editions of our projected song words, and normally we can send in advance a list of songs and links to videos being shown. We normal give people the opportunity to receive personal prayer at the end of each service. Our experienced prayer team will discreetly pray for you and, if you would like, find a more private setting for conversation and prayer. You can find our prayer guidelines here. Those who are church members or regular attenders at services contribute financially to the work of the church. Some of this money is collected during Sunday services but there is no expectation for our guests to contribute. Many people find that after they have been coming on Sundays for a few weeks they would like to join one of our small groups that meet during the week. These are a really good way to get to know others. Speak to one of the pastors if you would like to know more about small groups.